Joe’s NFL Picks, Week 8: Chiefs Go 8-0, 3 Upsets: Raiders, Jets, Redskins | Digital Marketing, Poetry, Reviews, Philosophy, Sports & Tales by Joe Wooldridge. Picking the winners and losers of week 8 in the NFL. Last Week: 11-4. Season: 19-11 (63%). I’ll take the Panthers on the road. Cam Newton is playing well. Also: The Bucs are hapless. “Getcha Popcorn” for Megatron and Dez Bryant: The Showdown. This game has the makings of a potential classic. Dallas is on a roll and the Lions are desperate and dangerous. Nobody puts baby in a corner. Give me the Lions in a nail-biter. “Ladies and Gentlemen, Welcome to Arrowhead Stadium for today’s game . . . First, In this Corner . . . The Snake-bit Challenger . . . Weighing in at over 12,000 lbs . . . Featuring a Nasty Defense and a Bumbling Offense run by yet another back-up Quarterback . . . in the Brown Trunks . . The Cleveland Browns!” (Spattering of Boos, Heckling). AND In this corner, weighing in at over 13,250 lbs . . . Sporting a Defense with over 35 sacks in only 7 games . . . In Front of the Loudest and Proudest Stadium of Fans in the World . . . Having been through Hell and Back in the Last Few Years . . . Coached by a rejuvenated Andy Reid . . . In the Red Trunks . . . 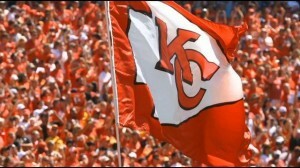 The Kansas City Chiefs!! !” (THUNDER). Miami is a year or three away. Even though the Patriots are a shadow of their former selves, I don’t see the Tom Brady losing this one on Foxborough. I like how Buffalo has been playing lately, but it is too much to ask of them to go into New Orleans and get a ‘W’. Too much Brees, too much Payton . . . and possibly too much fun on Bourbon Street the night before the game for the visiting Bills players. One of these weeks the Jaguars are going to rise up and win a game. I don’t think that this is the week. Yes, the Steelers beat the Ravens last week and look much better. But that was last week. Welcome to Oakland, CA. Welcome to the Black Hole. Worse? The whipping boy of the AFC West is going to take you to the woodshed. Dig ya’ll lock your doors? Cincinnati’s defense is way too good to let them lose this game in front of the home crowd, right? I mean, Andy Dalton can just throw the ball to AJ Green for an 80 yard touchdown every time, right? This Jets team isn’t that scrappy, is it??!!?? Every time my neck hurts, I think of how Peyton Manning’s neck must hurt – especially after 4 surgeries and a few vicious hits by Robert Mathis last week. Ankle my foot. Every time my knee hurts, I think about how much better RGIII’s knee must feel than mine does. Also, I remember being 37 recently. More vivid are my days as an invincible 23-year-old. I look for the Falcons to further implode – while, simultaneous – the Cardinals do a wicked impression of a playoff team. Midnight in the desert. For the Falcons. Any Given Sunday. I see pride coming into play here for Jared Allen, Adrian Peterson and the company. Look for a very tough, grind-it-out, punch-em-in-the-mouth game from the Vikings in front of a raucous home crowd. With a huge disparity in QB play and a margin of talent difference both being in favor of the Seahawks, I’m bailing on the Rams at home. It really is too bad Favre is too old. They actually should have called Tim Tebow. Say what you want, but the guy gets wins.